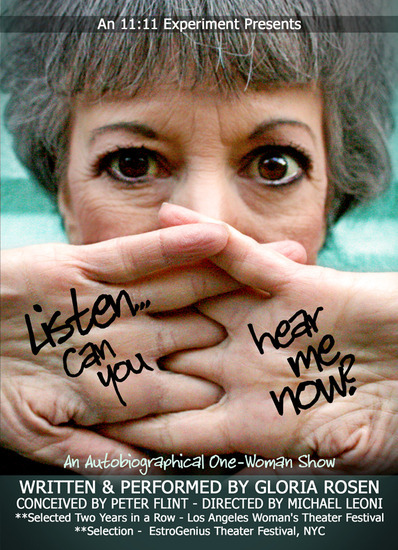 Actress and playwright Gloria Rosen joins Dennis to talk about her one-woman show “Listen… Can You Hear Me Now?” that chronicles her experience as a child who can hear with two deaf parents. Her story combines comedy and drama that will leave a lasting impact on each member of her audience. You can see the show as part of The New York International Fringe Festival through August 24th. You can like “Listen… Can You Hear Me Now?” on Facebook, check out performance dates at FringeNYC.org, and follow the show on Twitter!